Jay Chou was born on 18 January 1979, in Linkou District, Taipei County, Taiwan. He is an actor, director, producer, singer, musician, and songwriter, probably best known for his successful music career, but also seen in films such as “The Green Hornet”, “Curse of the Golden Flower” and “Initial D”. All of his efforts have helped put his net worth to where it is today. 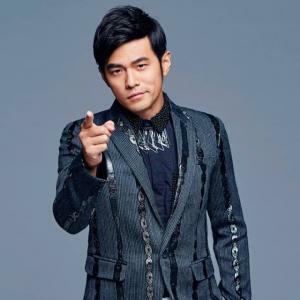 How rich is Jay Chou? As of mid-2016, sources inform us of a net worth that is at $75 million, mostly earned through success in several endeavors. He’s sold over 30 million albums worldwide and has also won numerous awards. He owns his own record company, and as he continues his career his wealth will likely increase. At a young age, Jay showed musical inclinations which prompted his mother to take him to piano lessons. In the third grade, he took cello lessons and then started to learn about music theory, favoring the music of Chopin. He attended Tam Kang High School, majoring in piano and minoring in cello. He also started to write songs at this age, and showed skills in improvisation. After graduating from high school, he was put to mandatory military service because of inadequate grades, but due to an injury, he was exempted, and soon found work as a waiter. Not knowing what to do, Chou and his friend decided to join the talent show “Super New Talent King” in 1998. He played the piano while his friend sang, and while they did not impress with their overall performance, the host Jacky Wu noticed Chou’s composing skills. He was then hired as a contract composer, initially working with Vincent Fang. In the next few years, Jay would start learning production, sound mixing, writing, and recording songs. Eventually, he was given a chance to release his own album, choosing 10 of his songs to comprise the album “Jay” which was released in 2000. The fusion of classical music with modern genres became a hit, and would soon become popular around Asia, assisitng his growing net worth. After promoting his debut album, Chou then started to work on his second album, “Fantasy” which was released the following year, and became a big hit and sold two million copies in Taiwan alone; he also won five of the 13th Golden Melody Awards out of the 10 total nominations. Following the same formula, he worked on his third album “The Eight Dimensions” which was another success, and led to Chou having his first concert tour entitled “The One”. In 2003, he released his fourth album entitled “Ye Hui Mei” which is the name of his mother. While “The Eight Dimensions” didn’t win any awards, “Ye Hui Mei” won as the Best Album of the Year. The album also marked the first time that Jay ventured into other genres, which earned praise from both fans and critics. In 2004, after releasing the album “Common Jasmin Orange”, he was called the most popular Chinese singer, achieving sales in Asia that no other artist had done before. The following year, “Chopin of November” proved to be another success, selling 2.5 million albums in China alone. Chou’s acting career would start in 2005, when he was cast to be the lead in the film “Initial D”; the film was based on the Japanese comic of the same name, and it would lead him to win several awards. He also gained a bit of popularity in Japan, especially because he closely resembled the comic character. Afterwards, he became part of the “Curse of the Golden Flower” which earned multiple nominations. In 2008, he was cast in the film “Kung Fu Dunk” and then three years later Jay would have his Hollywood debut in “The Green Hornet” starring alongside Seth Rogen. He has continued making films, his latest being “Now You See Me 2”. For his personal life, it is known that Chou married model Hannah Quinlivan in 2014 after dating for four years. They were married in England and now have a daughter.